Start a new chapter with Ever After High, where the teenage sons and daughters of famous fairytales decide whether or not to follow in their parents’ fabled footsteps. 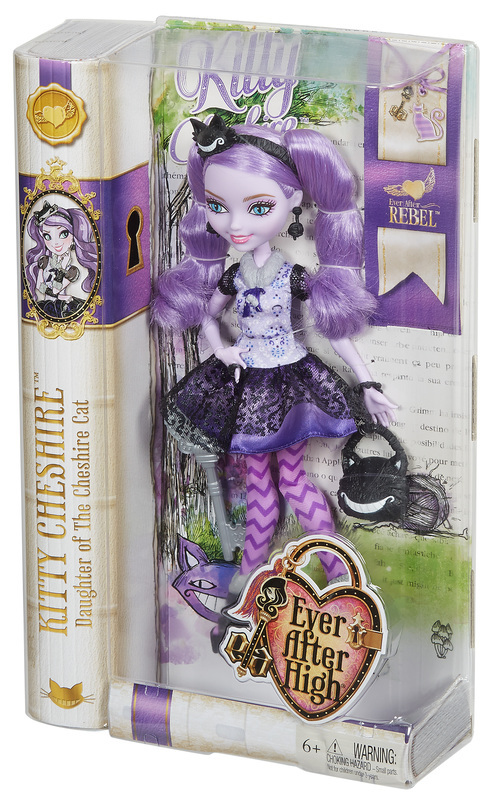 Kitty Cheshire, daughter of the infamous Cheshire Cat of Wonderland, has chosen to rewrite her destiny as an Ever After Rebel -- and to do it in storied style. 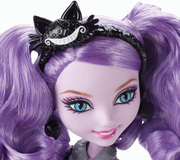 Fans of Ever After High will recognize her iconic outfit featured in the webisodes. Kitty has fashionistas grinning wearing a hexquisite purple dress with a cat-inspired print bodice, a black lace overlay on the skirt and short mesh sleeves. Purple chevron-patterned tights and “fur”-lined booties are the cat’s meow, while earrings with yarn detailing are the purr-fect jewelry for this cool cat. 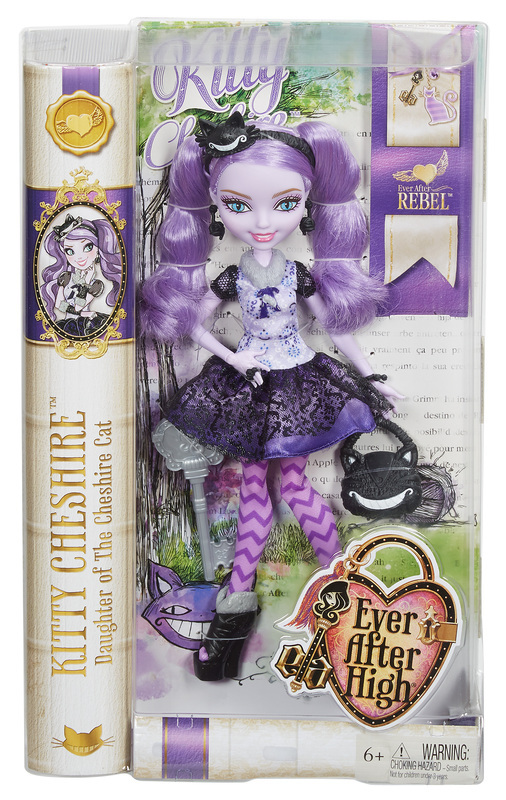 Kitty Cheshire doll completes the legendary look with a fableous headband and bag that features the iconic Cheshire grin. Capture all of her poses using the included doll stand. Doll also comes with a bookmark that shares her hexclusive story and a doll hairbrush. Collect all of the spellbinding students of Ever After High (sold separately) for hexquisite display and storytelling fun. Doll cannot stand alone.